Only the daily, monthly and annual averages calculated from quality controlled (QC’ed) data are provided in the data files. However, the graphs show the averages calculated from QC’ed observations (in blue) and non-QC’ed observations (in red). The averages are calculated from the Demerliac filter and the Doodson filter, with the possibility of a choice for the user. An example is given on the image below, which is taken from the web page of the La Rochelle station. on the quality controls carried out by SHOM. 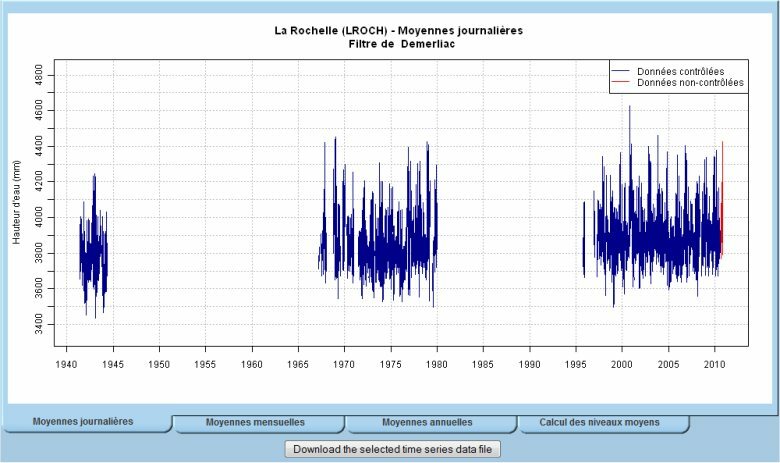 The files of mean values can be downloaded individually from the SONEL Web page of the tide gauge, without authentication, by clicking on the button situated under the graph of the means chosen (filter, data sampling and average type: daily, monthly, annual). An example is given on the image opposite, which is taken from the web page of the La Rochelle station. The format adopted is that of the PSMSL, as are the calculation criteria for the monthly and annual means, in particular for the issue of observation gaps. 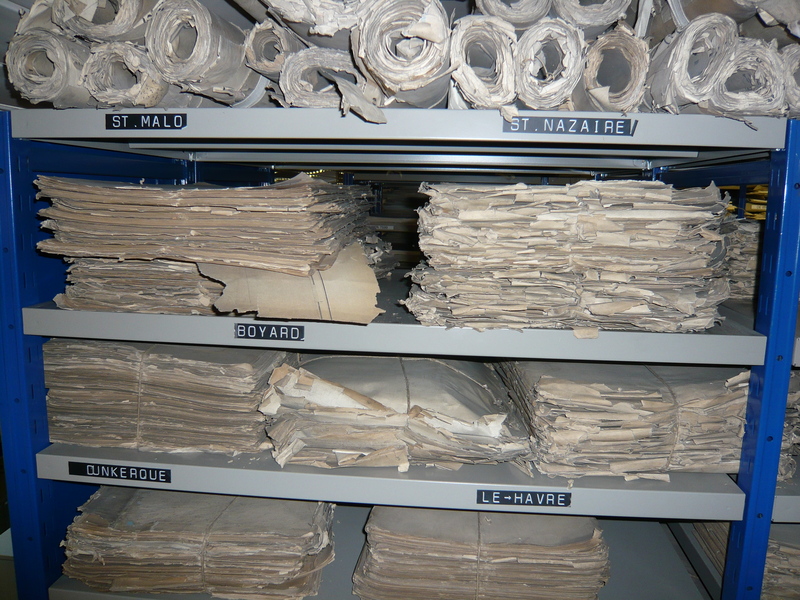 The data files are presented in the form of a two-column matrix. The dates are in decimal years (centered on the 15th day of the month for the monthly values and at noon for the daily values). The daily, monthly and annual sea-level heights are expressed in millimetres.